When it comes to sunscreen, I prefer a heavy dose of SPF. I’m fair & freckled but I honestly think everyone should be as SPF obsessive as me. However, when I’m sitting around the house or having a low to no makeup day, I try not to waste SPF on nothing. 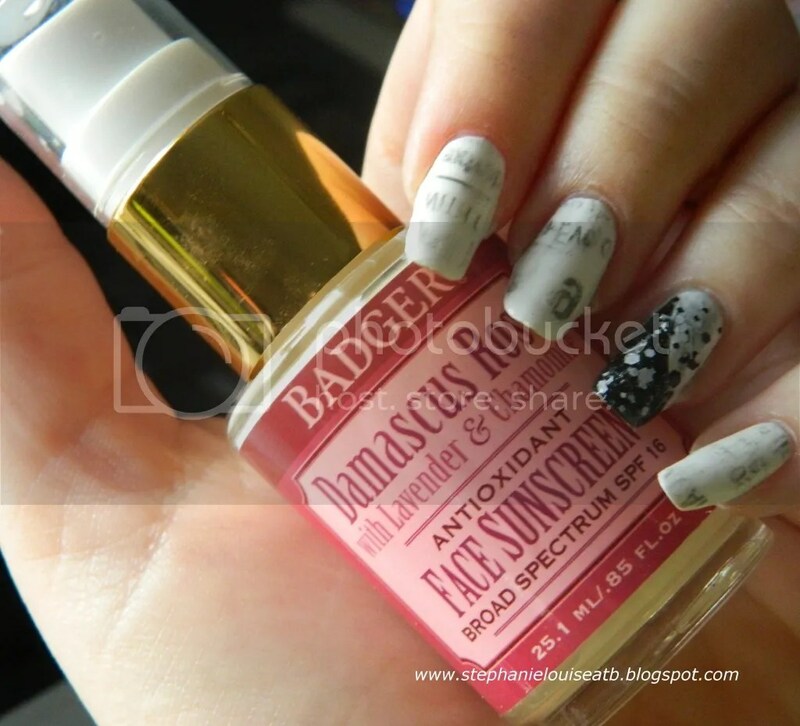 When Badger’s Damascus Rose SPF 16 Face Sunscreen Lotion came into my life, I was wary. Would I like the scent? Is 16 enough SPF for daily use? & would my picky skin accept or reject this as a moisturizer? Broad Spectrum protection from UVA & UVB rays. Light, nearly invisible lotion base rich in Certified Organic ingredients. Ideal for everyday use, even under makeup. 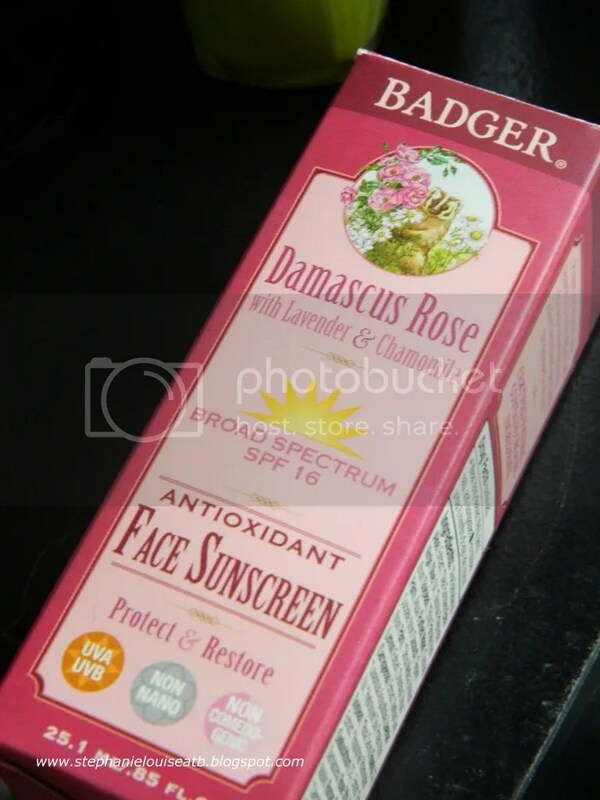 Protect & Restore Badger’s new SPF 16 Damascus Rose Face Sunscreen uses the safe, effective mineral Zinc Oxide in a base of antioxidant- and nutrient-rich extracts to protect and restore delicate facial skin. This is a light, restorative, and nearly invisible sunscreen for the face that protects from both UVA and UVB rays while nourishing and soothing the skin. 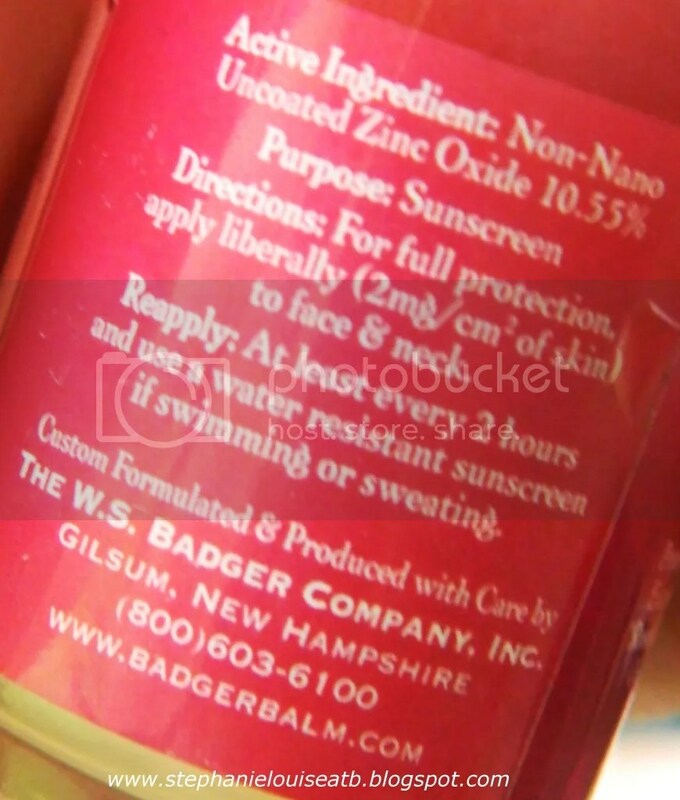 And like all of Badger’s sunscreens it contains only the purest, most natural ingredients. Directions for use: Use daily on the face and neck to moisturize and protect. Can be used alone or under makeup. Ideal for dry and delicate skin. Let’s start with scent: I love it. I was nervous. Sometimes scented lotions are just weird on the face. This one smells beautiful, natural, & feminine. It isn’t a light scent either, you can definitely smell it. I hate the “sunscreen scent” so this was perfect for me! It really is a mix of the rose, lavender, & chamomile not just one or 2. You can definitely smell them all! I was a bit worried to use this when I was outdoors because its been so humid & gross here. I stuck to using it mostly indoors with some light outdoor work like running errands or throwing toys with the dogs. I didn’t accumulate any additional sun damage & it felt nice on the skin. I applied it down my neck as well. It says to reapply every 2 hours if you’re swimming or sweating so I figured it was safe. It was! My skin loved it! Maybe its all the treatments I’ve been trying lately or the very non-natural ingredients I’ve been putting on it. It’s actually quite soothing & feels a bit thick in your hands. But then you realize you don’t need a lot & it thins out to the perfect layer. I don’t use it every day but I very well could. It smells divine, provides the right amount of moisture for normal skin without over doing my oily combo skin. I haven’t had any reactions to this, probably because of how natural it is. My biggest plus is how I feel when I apply it: I honestly think is has a calming, romantic effect to it! Plus, I will always like a glass bottle with a pump, such a step above other methods. Do you love rose scented products? This was recently featured in my monthly favorites along with the Reviva Labs Rose Facial Spray…guess I’ve been on a rose kick! What kinds of florals wow you? **Product provided for review consideration. All opinions are my own.